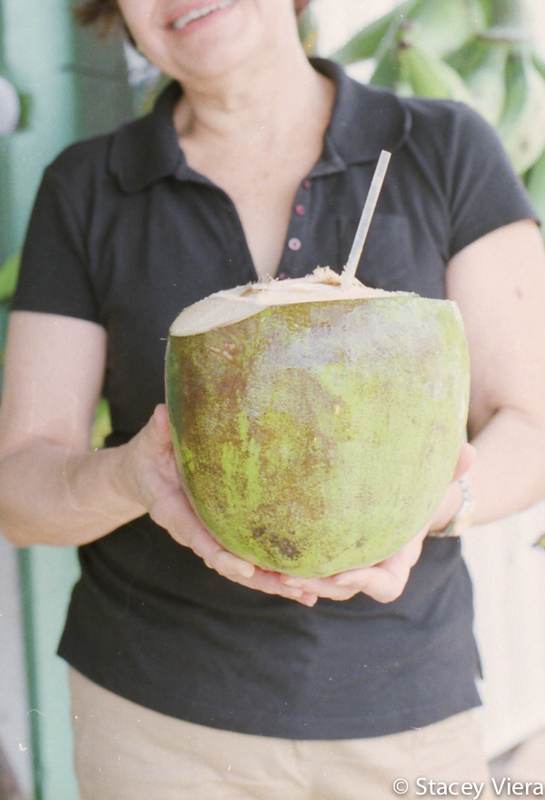 These photos are something of a local's guide to Puerto Rico. The beach, hotel casinos, and the Barcardi plant are fun to visit, but those places are not the "real" Puerto Rico. The Camuy Caverns - 17 stories high inside - and the drive to get to them show the beauty the interior of the island. 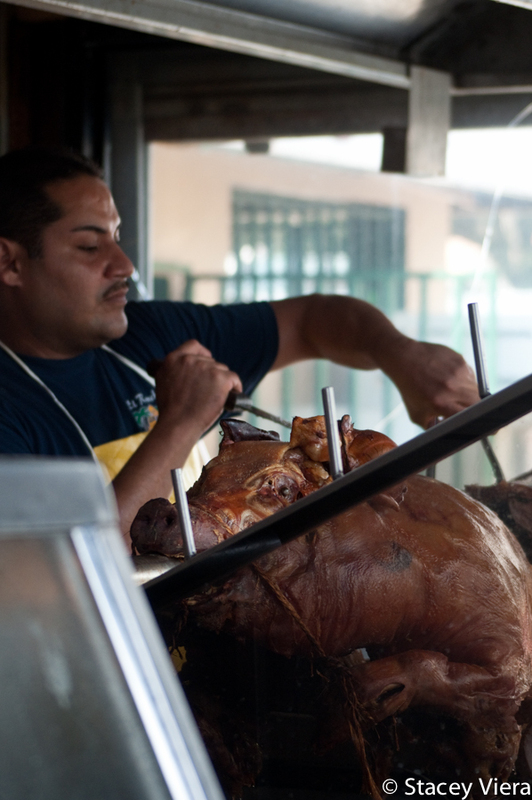 Another town, Cayey, in the mountains, is known for local lechoneras, or restaurants offering roast pig. The pig is chopped up into servings with a machete. Machetes are useful for lots of island delicacies. At the fruit stand and grocery on Avenida Esmeralda in Guaynabo, a San Juan suburb, my mother-in-law, Vivian, and I were led to a room in the back of the shop where we were treated to a show of how coconuts are enjoyed. Our machete-wielding friend made a utensil out of some of the coconut shell so that we could eat the meat. 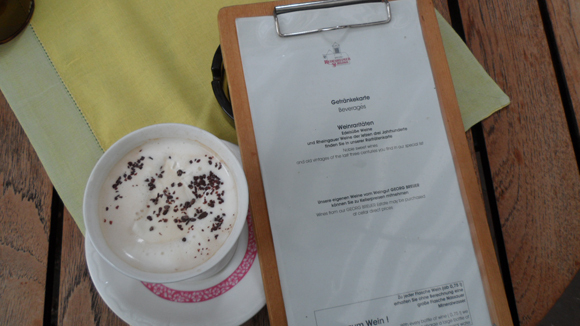 No trip to Puerto Rico is complete without visiting Viejo (Old) San Juan. Walking the streets paved with adoquines, unique blue cobblestones, is a rich experience as a tourist or as a local - and even as a French bulldog. There is a rich sense of history in the 500-year-old stones and colorfully painted buildings and townhomes. And so many breathtaking views of the Atlantic Ocean on one side and mountains on the other. 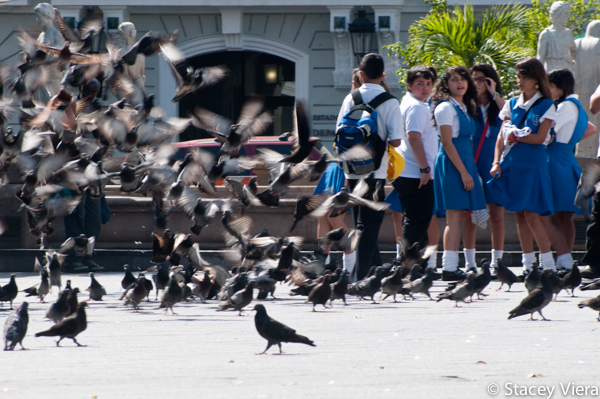 And always, always more pigeons than you can count. The "Isla del Encanto" is indeed charming in many respects, though crime also plagues it. Bars on every window, door, and carport are a reminder of the crime and poverty that is prevalent. 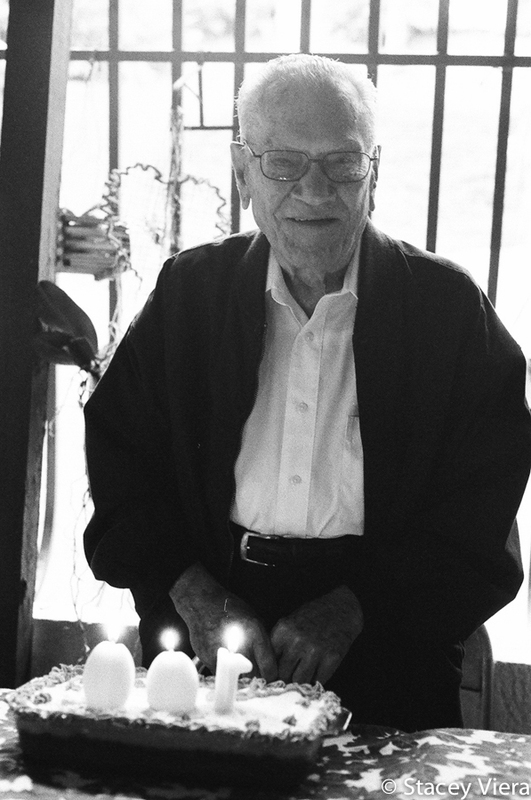 But for me, having married into the Puerto Rican culture (pictured is my husband's abuelo on his 100th birthday), the island will always be a symbol of delicious smells, tastes, laughter, kindness, and adventure.